We compute the bound \(d_2 ^*\) on the second generalized Hamming weight for some AG codes coming from Castle curves. We consider those codes related to Weierstrass semigroups generated by two integers. Important codes as Hermitian, Norm-Trace and certain hyperelliptic codes belong to this class of codes. We obtain a simple characterization for the true values of the second generalized Hamming weight of all Hermitian codes. 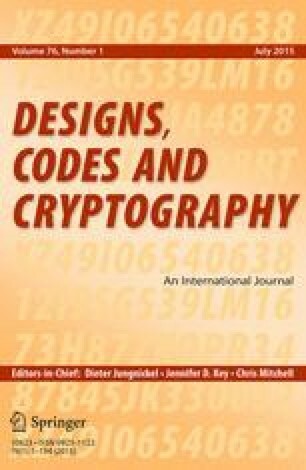 This is one of several papers published in Designs, Codes and Cryptography comprising the “Special Issue on Computer Algebra in Coding Theory and Cryptography”. The authors wish to thank Professor Carlos Munuera for his useful discussions. We also wish to thank the referees for many interesting comments.